It is seeming like 2015 just may be the year of Barbie progression. Even though Mattel has made some exciting Barbie-related announcements recently, the news that Zendaya is getting her own Barbie doll is maybe the most thrilling of all. The Zendaya Barbie follows Mattel's update in June that finally gave America's iconic doll adjustable ankles, allowing her to wear a pair of flats after wearing only heels for 50 years. Now, according to an announcement Friday from the Barbie's official twitter account, Zendaya will have her very own doll. The announcement is not only is a celebration of Zendaya’s many accomplishments as a public figure and role model, but also makes a significant statement regarding Mattel embracing diversity. The K.C. Undercover actress is all too deserving of this honor. Hosting the Barbie Rock N’ Royals Concert Experience on September 26 at the Hollywood Palladium in Los Angeles, an event to further encourage girls to raise their voices, Zendaya proved herself once again as a role model for young women of all ages. Through her music, television series, and confident and positive attitude, Zendaya encourages girls to fully embrace their individuality and show the world their true selves. Naturally, the Zendaya model will honor her 2015 Oscar’s Vivienne Westwood off-the-shoulder gown and dreadlocks that ignited quite the controversy leading to Zendaya’s recognition across the globe. In case you missed the dramatics, Giuliana Rancic’s cringe-worthy commentary of the young woman’s hairstyle on E! Fashion Police, in which the reporter expressed that she felt it probably “smells like patchouli oil and weed," was one of the most talked-about moments of the year. Zendaya voiced her response to Rancic over social media in a graceful, mature manner, which ultimately cemented the starlet’s strong, individual voice. 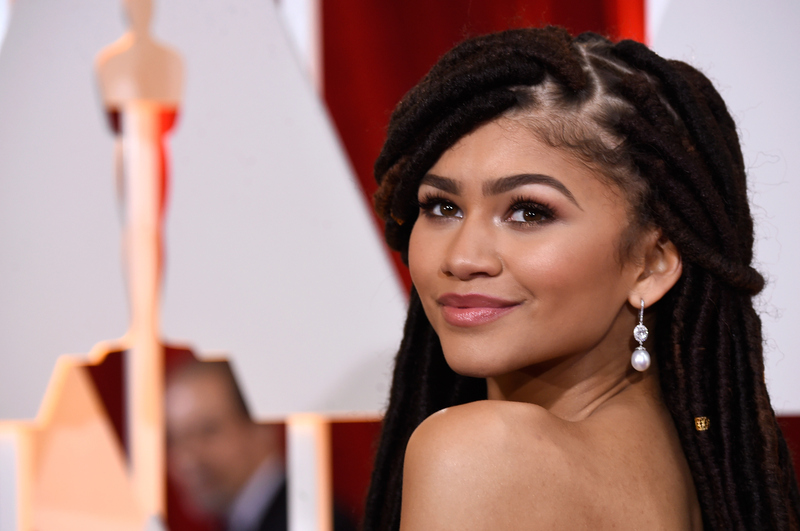 "When I was little, I didn't have [a Barbie] that looked like me, so I couldn't connect with her in that way," Zendaya told Yahoo. "But getting to visit the Mattel offices and see Barbie’s vision for the future... I was able to see how they plan to diversify, broadening the horizons and the image of Barbie, and make it more, you know, open. I left the office feeling it was definitely something I wanted to be a part of. Mattel’s decision to show their appreciation and respect for Zendaya by creating this doll proves the company is taking great strides towards a more diverse collection. It also shows that the iconic doll is becoming more of a role model than she ever has been. What makes her Zendaya such an amazing and admirable woman is the fact that even though she is young, she is also strong, successful, and has valuable opinions on issues that truly matter. A Zendaya Barbie doll will provide girls with a role model who can inspire as well as represent them.